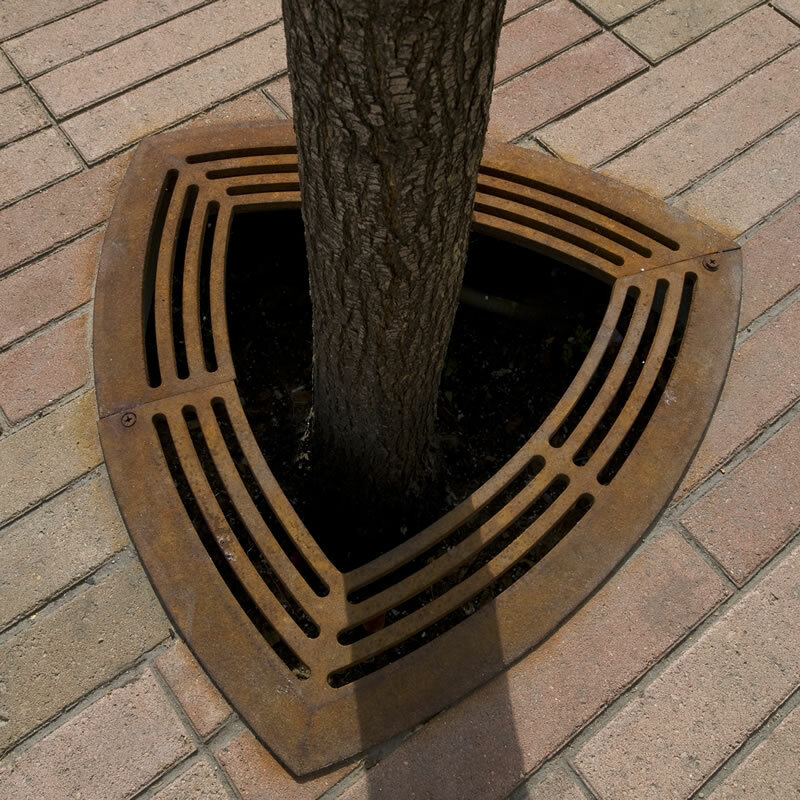 Trim Rings provide a finished edge to an opening for a tree or other vertical element such as a post or sign when using the Paver-Grate® Paver Suspension System. 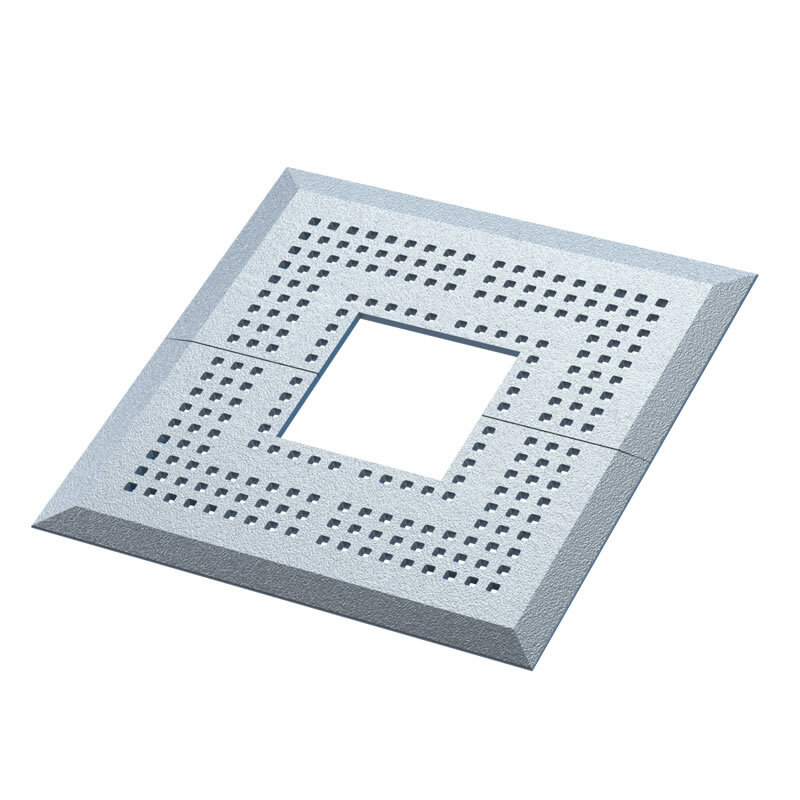 Trim rings have a beveled edge compliant with A.D.A as a non trip elevation rise. 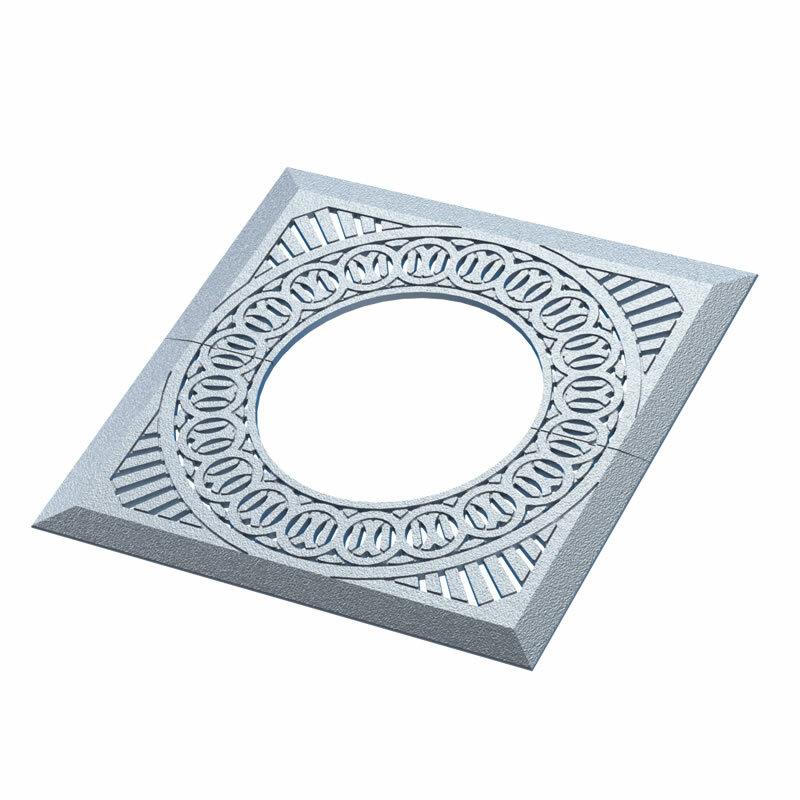 * Cast iron trim rings are not Buy America compliant. 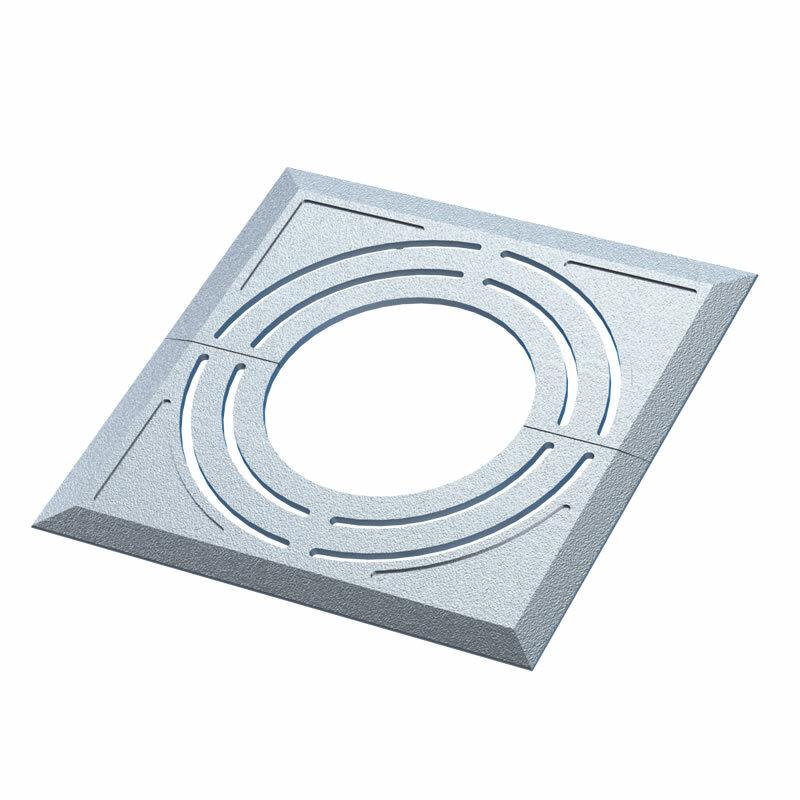 Without an exemption, specify aluminum trim ring.